This text is primarily an intermediate level one-semester textbook in electromagnetic fields for engineering and physics students. Although vector calculus and basic physics are prerequisites, the book is practically self-contained. Based on circuit theory rather than on classical force-relationship approach, this text uses the theory of electric circuits to provide a system of experiments and introduces a series of field concepts as a logical extension of circuit theory. The contents of the book is highlighting non classic presentation of wave propagation and interaction with matters. This volume is based on the contributions of several authors. It bridges the gap between physics and engineering in these issues. This comprehensive volume covers wave propagation behaviors and computational techniques for electromagnetic waves in different complex media. The book will be of interest to electromagnetics and microwave engineers, physicists and scientists. This book is dedicated to various aspects of electromagnetic wave theory and its applications. It covers the physics of electromagnetic waves, theory of electromagnetic wave propagation and scattering, methods of computational analysis, etc. 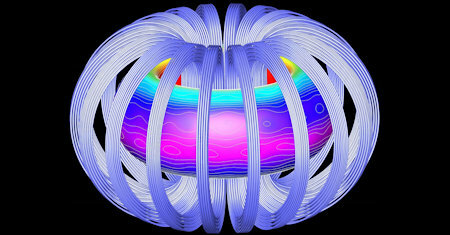 Computational Electromagnetism refers to the modern concept of computer-aided analysis, and design, of virtually all electric devices. The present book is uniquely written to enable the reader to perform important simulation techniques. This is a companion volume to Electromagnetism for Electronic Engineers. It contains the worked examples, together with worked solutions to the end of chapter examples, which featured in the previous edition of the book. Finite-element Methods for Electromagnetics covers a broad range of practical applications involving electric and magnetic fields. The text emphasizes finite- element techniques to solve real-world problems in research and industry. This book on electromagnetism starts with conventional sequence of presentation, beginning with electrostatics, then moving to current electricity, the magnetic effects of currents, electromagnetic induction and electromagnetic waves.